Most water and wastewater utilities around the U.S. develop and maintain long-term (typically five-year) Capital Improvement Programs (CIPs) to provide for needed system expansion or infrastructure renewal, repair, and replacement. The declining condition of America’s infrastructure is highlighted each year by numerous professional organizations, including the American Society of Civil Engineers (ASCE). The 2017 ASCE Infrastructure Report Card gave drinking water utilities a grade of D, and wastewater utilities a grade of D+. Rehabilitating these valuable assets, when combined with regulatory compliance needed to upgrade water and wastewater facilities to support new customer growth, can result in the requirement of large capital resources for utility systems. Start with a validation process for the CIP to ensure the projects are properly packaged and prioritized. 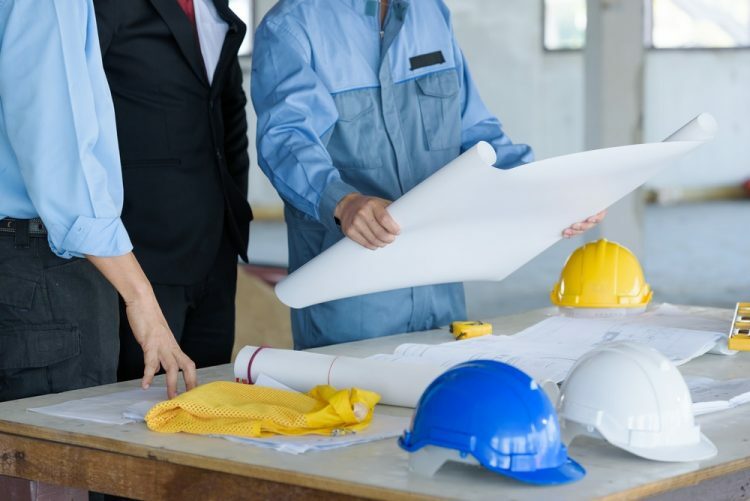 Small projects require as much staff management time as large ones, so packaging into a smaller number of larger projects will improve efficiency. Develop a Project Delivery System (PDS) that drives project execution through a standardized, systematic process, utilizing design and construction standards that maintain project quality and consistency across the entire CIP. Select the optimum project delivery method in advance for each project in the capital program. Too many utilities continue to rely on conventional delivery methods (design-bid-build) even when faced with daunting deadlines or budget constraints. The planning phase of any project should consider its delivery method as an important decision in the process. Many variables enter into that decision, including schedule, quality management, regulatory compliance, budget and cost certainty, risk allocation, owner involvement, and collaboration. 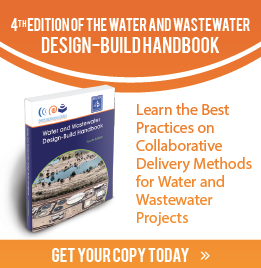 The Water and Wastewater Design-Build Handbook (Water Design-Build Council, 2016) is an excellent resource for engineers and utility managers considering the use of collaborative delivery methods for their projects. In addition to describing the various methods of collaborative delivery, the handbook discusses procurement, risk allocation, project management and operational transition, and presents several case studies for each delivery method. Price certainty. Traditional delivery can result in a “bid day surprise” when the contractor bids substantially exceed the engineer’s estimate. Collaborative delivery methods provide more price reliability earlier in the process. In addition, providing updated cost estimates throughout the design phase allows for modifications to match a particular project budget. Risk allocation. Different delivery methods apportion risk to the various parties in different ways, allowing owners to select the risk profile that best suits their needs. Collaborative delivery methods tend to minimize the overall risk by mitigating the potential for change orders and claims. Value-based selection. How often do we hear about owners getting “stuck” with a low-bid contractor for an important project? Collaborative methods generally employ a value-based selection process where price is only one of many selection criteria, weighted appropriate to the owner’s desire. Quality and value management. Early involvement by contractors in the design process helps ensure quality construction at a reasonable price. Innovation. The ability to consider innovative solutions is severely hampered by traditional design-bid-build delivery. Collaborative delivery allows for consideration of innovative solutions that may achieve lower life-cycle costs, even in the face of higher initial capital outlay. There are certainly many instances where traditional design-bid-build delivery is appropriate and efficient. Utilities are comfortable with this delivery method and it has served them well for many years. But in any large CIP, there are likely many projects that would benefit from collaborative delivery. Thoughtful selection of the optimum delivery method will result in improved schedule compliance, cost management, and reduced change orders and claims, while ensuring a quality product to the owner.